THE Whiddon Group's Director of Research and Creative Ageing Expert, Karn Nelson, shares her insights on the links between creativity and wellbeing, and tips on how to use these techniques at home. At Whiddon, we use the term creative ageing broadly to include arts and crafts, music and song, dance, theatre, animal therapy, storytelling, writing, cooking and gardening. The reason it works is that creative expression engages many different parts of the brain, and it is enjoyable, which means that you are more likely to keep on doing it. Neuroscience confirms that our brain's capacity for creative expressions does not diminish with age, in fact, it can grow. We've found that getting people involved in creative activities and groups is a highly effective way of tackling social isolation and loneliness, reducing anxiety and depression, and improving capability and cognition. FRIENDS: Resident Aub says having Priscilla to look after helps him stay motivated to be active and spend more time outside. 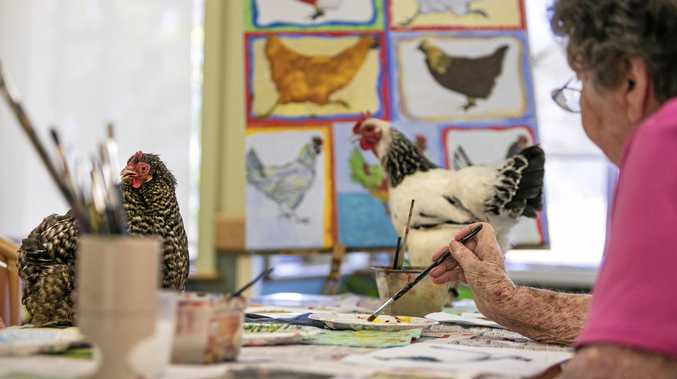 Our trial of HenPower, a creative ageing and social-engagement program based around keeping and caring for chooks has resulted in much improved quality of life for the residents that get very involved. 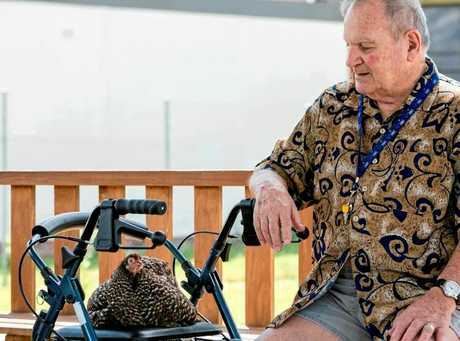 For one resident, Aub, having chickens in the home gave added purpose to his day and helped him regain a previous level of physical activity by giving him a reason to spend time outside and walk around. Get creative - You don't need to be 'naturally' creative. Anyone can get involved in and enjoy creative activities - music, singing, art, mandala meditation, puzzles, even gardening and cooking involve creative expression. These activities build confidence and can have a big impact on positivity, wellbeing and happiness. 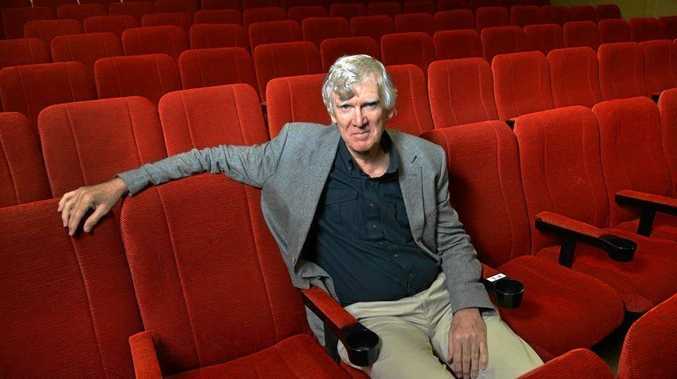 Stay connected - Loneliness and social isolation can have huge impacts on health, engagement and wellbeing. Find ways to connect with people, places, interests and things that matter to you and encourage family and friends to do the same. It's important to understand that being social and keeping connected looks a little different for everyone; it could be finding new interests or maintaining existing hobbies, going to social groups and events, caring for a family pet, going on outings with family and friends, or even having a meaningful conversation with someone. Be physically active - Keeping active is important at all ages and exercise is beneficial for both your physical and mental wellbeing. Having a reason to keep active or spend time outside in the garden, as we saw in our HenPower trial, helps with the motivation for this. This could be going for a walk to catch up with family or friends, spending time in the garden, walking a pet or going for a swim. Exercise your mind - Brain training is a hot topic and we frequently hear about activities to keep the brain active. Whiddon offers a program called Chat, Stories & Tea, a social program that uses non-medication based approaches to slow cognitive decline. Techniques from the program can also be used at home to help engage a family member or friend - use plenty of sensory stimuli, such as music, pictures, things to hold and play with to help encourage conversation and memories to flow. Avoid asking direct questions, as this can be intimidating and instead use imagination to encourage conversation to build confidence. Find meaningful activities - Participating in meaningful activities helps us feel positive, purposeful and accomplished. These activities may change as we grow older and it's important to help a family member find what's meaningful and enjoyable for them - pursuing an old hobby, or finding a new one, volunteering, mentoring others and finding ways to give back. Caring for another being or living thing, human, animal or plant can have an enormous impact on feeling that we are contributing and valued, which is why pet therapy is so powerful. 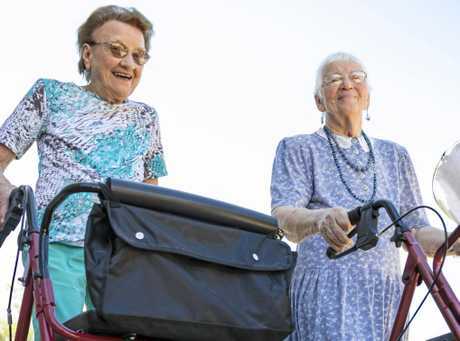 To find out more about Whiddon's award winning aged care services and creative ageing programs visit http://www.whiddon.com.au or chat to us on 1300738388.